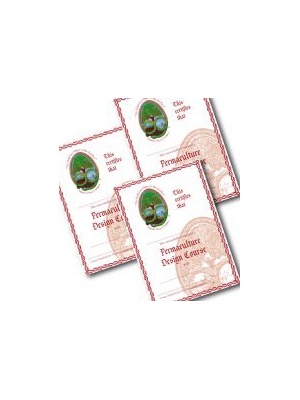 The Permaculture Design Certificate Course was filmed in September 2005 at The University of Melbourne. Using a professional production team. The entire course is presented by Bill Mollison and Geoff Lawton. Each disc has (+/-) 4.5 hours of content, 58.5 hours total for the set. The last disc finishes up Chapter 14, student questions, the design assignment, graduation, round table and conclusion to the course. There were 13 hours of the course devoted to students producing their designs (2 hours with Geoff mentoring, students also worked after class hours to complete their designs) the student design presentations (7.5 hours, big class! ), the graduation day, round table, conclusion, and the where to from here? discussion ( 6 hours). The entire footage of these 13 hours is reduced to a delightful 60 minute (+/-) collage for the viewer. 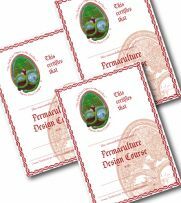 Permaculture Design Certificate Course 13 Disc DVD Collection - Join Bill Mollison and Geoff Lawton for an entire PDC lecture series in the comfort of your own home. Refresh your experiences from a course you've sat or use this collection as an exceptional resource tool for any projects you may have. Be one of the first to own this incredible power house of information. 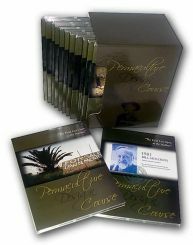 The DVD collection is suitable for use with NTSC systems and they were designed to be viewed via a standard DVD player. We are finding some computer drivers will not play the DVDs and we are compiling more information regarding this. If you are intent on playing the DVD set on a computer we cannot guarantee they will view.